I was trying to update the original post of these cards with the new version, but I thought it would be easier just to start a new post, so here it is. I have created two new designs to the 90’s fortune teller valentine’s day cards for free download. I made a boy’s version, Dusty Blue, because my girls were telling me when they handed them out on Valentine’s Day, they saw the boys playing with them the most, which was unexpected, but inspiring. 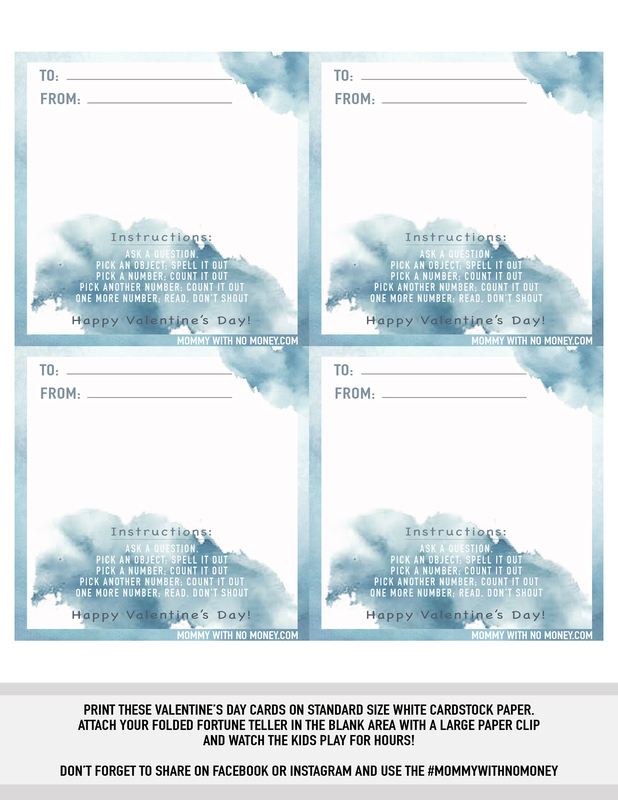 Here is the Dusty Blue Fortune Teller and the Dusty Blue Valentine’s Day Card. Who doesn’t love CUPCAKES? Kids sure do and what’s better than eating all the cupcakes…decorating them! This was a fun birthday and every kid really enjoyed it (I think I say that about every birthday haha but I’m not gonna lie, they all rock!) Be warned though, there is a lot of prepping for this birthday party.